It will premier in 2017. 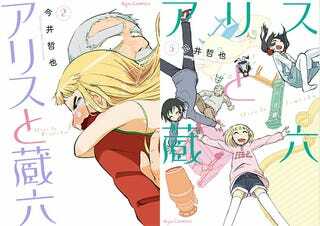 In the pagesof the upcoming Takuma Shoten´s Comic Ryu, which will be released at November 19, it has been revealed that an Anime adaptation of the Seinen Manga “Alice to Zouroku” is in the works. Most details are still in the dark.